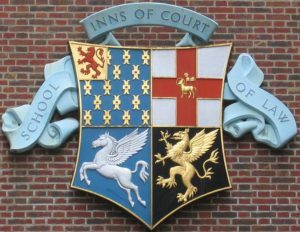 The Inns of Court in London are the professional associations for barristers in England and Wales. All such barristers must belong to one such association. They have supervisory and disciplinary functions over their members. The Inns also provide libraries, dining facilities and professional accommodation. Each also has a church or chapel attached to it and is a self-contained precinct where barristers traditionally train and practise, although growth in the legal profession together with a desire to practise from more modern accommodation caused many barristers’ chambers to move outside the precincts of the Inns of Court in the late 20th century. From the late 1970s, U.S. Chief Justice Warren Burger led a movement to create Inns of Court in the United States. Although they are loosely modeled after the traditional English Inns, American Inns of Court do not possess any real property. They are groups of judges, practicing attorneys, law professors and students who meet regularly to discuss and debate issues relating to legal ethics and professionalism. American Inn of Court meetings typically consist of a shared meal and a programme presented by one of the Inn’s pupillage teams. Chief Justice Burger and others established the American Inns of Court Foundation in 1985 to promote and charter Inns of Court across the United States. The U.S. does not require attorneys to be a member of an Inn of Court, and many of the equivalent functions are performed by Bar Associations. The first American Inn of Court was founded in 1980 in the Provo/Salt Lake City area and also included students from the nearby Brigham Young University. Over the years, the American Inn concept expanded, and in 1985, the American Inns of Court Foundation officially commenced. (See www.innsofcourt.org for more information on the American Inns of Court history and for a list of all chapters in the United States).